welcome to new moon tai chi! Looking for a new form of exercise? Need to relieve some stress? 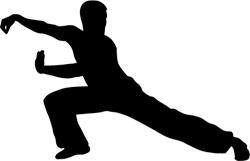 Learn the martial art of Tai Chi. Tai Chi is graceful and involves a series of movements performed in a slow, focused manner. Students become calm, their breathing deepens, and their muscles relax. Tai Chi classes are taught year round in Saratoga Springs, Malta, and Burnt Hills-Ballston Lake. Classes range in style and form and are offered for beginners as well as for more advanced students. ​For a list of upcoming classes, check out our class schedule. Follow New Moon Tai Chi on Facebook for the latest on upcoming classes and events.